Social Intelligence – Sensitivity to social situations. Interpersonal Skills – The phrase “soft skills” is representative of having interpersonal skills. Emotional Intelligence – Having emotional intelligence includes paying attention to nonverbal cues. Prudence – Prudence is being able to see others’ perspectives. Courage – Standing firm in your principles especially in the face of opposition or criticism. Conflict Management – Working with those in conflict to develop collaborative solutions. Decision Making – Leaders understand when to consult with the larger team. Political Skills – An effective leader is a good political player. Influence Skills – As a leader having mastery in terms of influencing others is necessary. 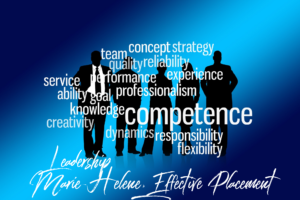 Area Competence – It is important that you add to the competency level of the enterprise.